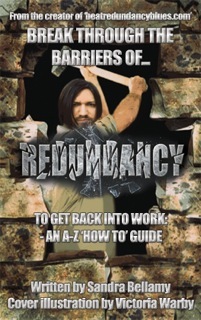 Redundancy can be an extremely stressful, distressing and depressing time. When I was made redundant for the first time in 2002, it felt like the rug had been pulled from underneath my feet, bewildered, disappointed and shocked, I didn’t know how I was going to cope. I hadn’t been made redundant before and I didn’t know anyone else who had. The second time was a different story, in 2009, much like today, it was during one of the worst economic climates and there were many others I knew and subsequently spoke to, that had been put in the same position. To speak to and be around people who understood how I was feeling, who had the same worries, the same fears and the same anxieties, really helped me to not feel so alone. I also found the following, was a good antidote, to help beat redundancy blues. In a state of panic, don’t just plunge back into the next available job, take some time out, to calm down and to reflect on was has happened to you. Go with what you are feeling. Don’t suppress the emotions but rather let yourself feel them and deal with them in a constructive way. Speak to family and friends to get their support. Do not carry on and pretend that nothing has happened. The sooner you face up to the situation, the sooner you can deal with it and move on. You need to recognise that you are grieving for your loss. Sure it is not a person that you are losing but a job is a huge part of your life and to have it taken away from you, unless you dislike the job, is often incredibly devastating. If you are feeling depressed and finding it hard to cope, then consider counselling. It can help you work through your grief and get you back into work quicker. Unless you are good at hiding your depression, a person who is blatantly depressed, will not score brownie points in an interview and you will be doing yourself a disfavour by trying to do something you are not ready for. We all need to take our own time to heal. Do things which make you feel good about yourself, if you can afford to, take a short break, socialize, be around people who make you feel good and help to get you out of your own head that is probably spinning with all sorts of thoughts, causing you confusion and to feel out of control. The sooner you start to feel in control, the sooner you will feel better. Are you a problem solver or do you prefer someone else to do this for you? Do you find it easy to communicate with staff? With Colleagues? With Customers? Do you prefer to be guided or to use your own initiative? Do you enjoy talking or being quiet? What environment do you feel most comfortable in? Do you like working in a structured way or prefer a more relaxed approach? Are you a person who likes to do things and be active or do you prefer to be an observer? Do you enjoy working with figures? Do you like socializing with people from work or do you want to do your job and just go home? Are you flexible over hours that you can work? Could you turn any hobbies into a career? What job could you realistically do? Do you lack certain skills needed for a new job? If so, what can you do about it? 9. When you start asking yourself these questions, you start looking to the future, now don’t look back. Keep looking forward and focus on that. 10. As always. Stay positive and keep smiling.